The outdoors. So beautiful is the planet that we live, it’s a shame that a lot of people don’t use it for what is it, a template for you to paint your favorite picture, to leave your stamp on this earth. It is often said that the brave seek new ventures in life, while the not so brave will live out their days sticking to the same routine. So, if you plan on heading into the unknown sometime in the near future and are unsure what exactly to pack in your rucksack, be sure to pack the durable and stylish Select Sang-proof polo. As ideal as it is for adventurous occasions, it is also a great fit for most work environments. 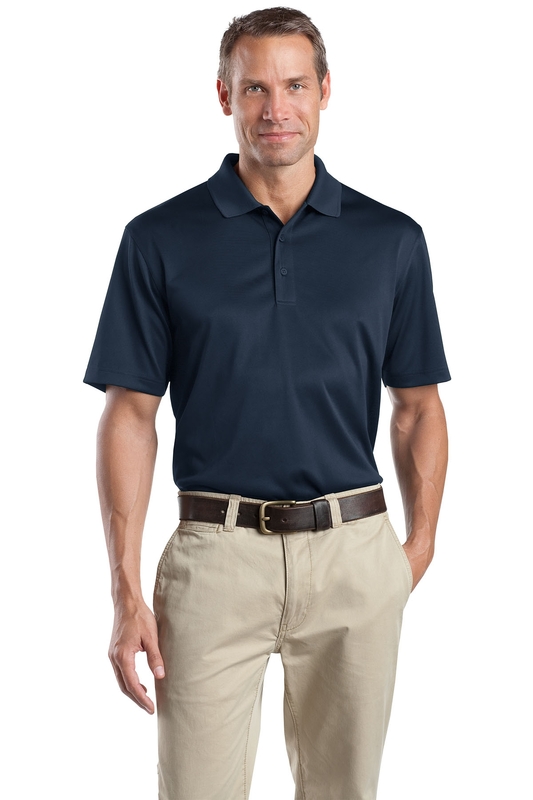 This polo weighs in at 6.6 ounces and is made out of 100% snag-proof polyester and is suitably rental friendly for businesses that would like these on a short term basis. It features a double needle stich throughout that gives it a professional appearance. Its’ tag free label joined by a flat knit collar give the polo a sincere classic vibe, of which compliment the snag-proof effect nicely. A 3 button placket attached to the collar give the polo a longer lengthen look as the buttons fade in well with the overall color of the polo. Other features of the select-snag polo include set-in, open hem sleeves and side vents of which ensure congestion for the wearer will never be an issue, so carrying out tasks will be sweat and free of agitation. Adult sizes come in a wide range, from XS-6Xl, accommodating all body types and sizes. This polo comes in a variety of dark, medium and light colors, enough to suit all seasons. These colors include: Black, Charcoal, Dark Green, Dark Navy, Maroon, Red, Regatta Blue, Royal, Tan and White. It is not uncommon for a woven garment to catch on a sharp object, causing an unsightly snag in the material. A snag characteristically has a single, long loop of thread dangling loose with the fabric slightly gathered or puckered on each side of the long thread. The pulled thread causes the distortion in the weave of the fabric. Fortunately, you can fix the snag so that it is no longer visible, and continue to enjoy the garment. The great news with this particular polo is that it is snag-proof, meaning you never have to worry about the polo becoming worn or disheveled looking from snagging. This makes the Select Snag-Proof polo a great choice for workplace uniforms where employees are on their feet and moving around a lot.